I Think, Therefore I blog: When did Eidul Azha turn into a vicious spending competition? Every year, Muslims all over the world observe the festival of Eidul Azha to commemorate Prophet Ibrahim’s (pbuh) submission to the will of Allah (swt). By obeying His order to sacrifice his only son, Hazrat Ismail (AS), he proved that he was a true servant of Allah, and it is this spirit of sacrifice that is to be observed by Muslims every year. These children grow up believing that the only purpose of the ritual of sacrifice is to slaughter as many animals as possible to prove that they are wealthier than their neighbours, relatives or friends. They don’t believe for a moment that this deep spirit of sacrifice goes much deeper than that and that the concept of sacrifice is meant to be maintained throughout their lives. Every Eidul Azha, the prices of sacrificial animals go up exponentially, and continue rising in the ensuing months. Last year, there were some cows and bulls that were selling for two million and more, which is more than the price of three brand new small cars. This year, I’ve heard that there are cows and bulls worth Rs5 million, with the prices to increase in the days leading up to Eid. The reason for the price increase is pretty clear – the same children have now grown up to be rich feudals whose mind-sets have been altered by the experiences of their childhoods. They believe this is an occasion to prove that they are much richer now and can easily afford expensive cattle for sacrifice. Let’s say that there is an extremely wealthy man named Ahmed who goes to the market to buy goats, cows and bulls. While his entourage of 20 men is looking at the animals, one underling comes to him with a cow that is selling for three million. This cow, according to its owner, has been fed almonds, butter and similar expensive food for the past two years. 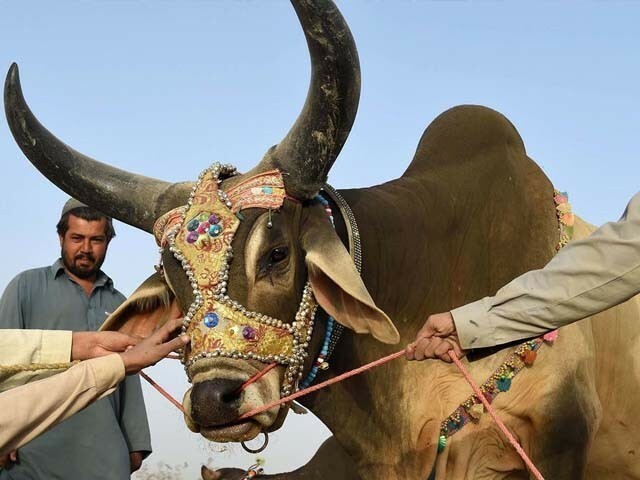 Ahmed exhibits excitement at the thought of owning such a valuable cow and how he will be parading his expensive prized possession through his neighbourhood. And he goes on to buy some more bulls, cows and goats at exorbitant prices. Yes, there , in fact, people like Ahmed who use the occasion of Eidul Azha to buy excessive and expensive animals for no reason other than to show off. In another market, Babar is looking for animals as well. He finds a suitable bull which is priced at Rs2 million, which Babar agrees to pay with pleasure. By the end of the day, he too has spent more than Rs20 million to buy animals for Eid. 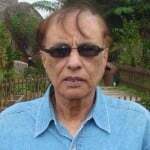 In our society, there are countless Ahmeds and Babars and this phenomenon results in prices shooting up, making it prohibitively expensive for the poor and middle class to buy any animals. Isn’t the spirit of sacrifice meant to teach us to be kind to the poor? Do they not realise that instead of helping the poor, they’re making it more difficult for them to survive? With the price of meat going up every year, how can the common man, with an average income of Rs15, 000 per month, feed himself and his family? No wonder there are so many beggars on our streets. I have a suggestion for the government, even though I highly doubt it will ever be accepted. They should have tax officials roaming the cattle markets, taxing both the buyers and sellers of animals. It will help the Federal Board of Revenue (FBR) in its efforts to net more taxpayers, but since government officers are more likely than not to buy expensive animals, this measure will be difficult to implement. “I am the manager at the bank near your office”, he said. “So when did you turn to butchering?’ I asked. Each of them can easily slaughter more than 10 cows a day. And since they charge Rs15, 000 to slaughter a single cow, they earn quite a lot during these three days. For those who can’t afford to pay so much for the animals, they can buy cows which are shared among seven people, with the help of certain organisations. There are also meat companies which take care of the entire process for you, from buying the cow/goat to delivering your neatly-packed meat to your doorstep. Some even give you one third of your share of the meat and distribute the rest among the poor and needy. It seems that most of us will now have to resort to this procedure as buying animals and paying butchers is becoming prohibitively expensive. But this is not what Eidul Azha is about, is it? Or at least this is not how it used to be? What happened to the good old traditions of going to the cattle market and buying a goat/cow for a normal price, taking it home and sacrificing the animal on Eid day as a family? When did Eidul Azha become entirely about how much money you spend on your sacrificial animal? Our religious scholars should teach people that the purpose of sacrificing animals should be observed, not just as another ritual, but as a solemn pledge to offer their wealth and their lives.